Throughout these five years we have been bringing the best in every person that has come across our work. Now we have arrived to a new stage in which we will be able to reach to more children and families with our educational model. Now we also have a new image that best represents the process of transformation, and very soon will have a new Mayama Center in Tlajomulco de Zúñiga, Jalisco, México. 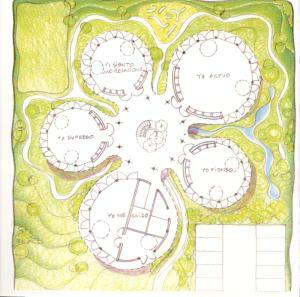 We already have a land in Tlajomulco and a design donated by an architect named Daniel Pouzet.